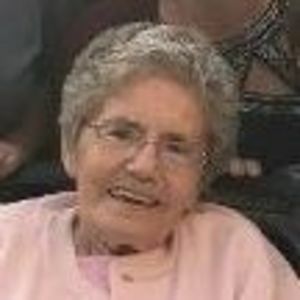 Audrey R. Wright, 82 of Sterling, died Sunday April 7, 2019 at Rock River Hospice and Home in Sterling. She was born on May 22, 1936 in Sterling the daughter of Paul F. and Clydia L. (Vittitow) Lane. She graduated 8th grade from Shriners Hospital in Chicago and from Prophetstown High School. She married James H. Wright on May 27, 1967 at the Leon United Methodist Church in rural Prophetstown. He died February 9, 1992. She and her late husband farmed in Ogle County and had dairy cattle. She moved to Sterling from Polo in 2005. She had worked as an administrative assistant for Lutheran Social Services of Illinois (LSSI) for 20 years. She had enjoyed scrap booking, working on puzzles, tending to her flower beds and keeping up with her grandchildren's activities. She was an avid CUBS fan. Survivors include her two daughters: Rae Lynn (Harold) Diehl of Polo and Jami (Tom) Castaneda of Sterling; her son Paul (Diana) Wright of Carmel, IN; 7 grandchildren: Kelly Diehl, Justin (Lindy) Diehl, Addison Wright, Nolan Wright, Natalie Castaneda, Katie Wright and Becky Wright; 2 great grandchildren: Wesley Diehl and Lane Elliott; 3 step grandchildren: Chris (Jennifer) Diehl, Niki Diehl (Kevin) and Alison Brantley; Six Step great grandchildren and her special fur baby Rilee. She was preceded in death by her parents; her husband; her son Mike Wright; her grandson James Castaneda and her sister Leona Rebert. A gathering of friends and family will take place on Saturday April 13, 2019 from 10 – 11 AM at the First Presbyterian Church in Sterling. A memorial service will follow at 11 AM with Pastor Christina Berry officiating. Burial will conclude at East Jordan Cemetery. Arrangements completed by McDonald Funeral Home & Crematory. In lieu of flowers memorials to the Shriners Hospital in Chicago. Can be given at the church.